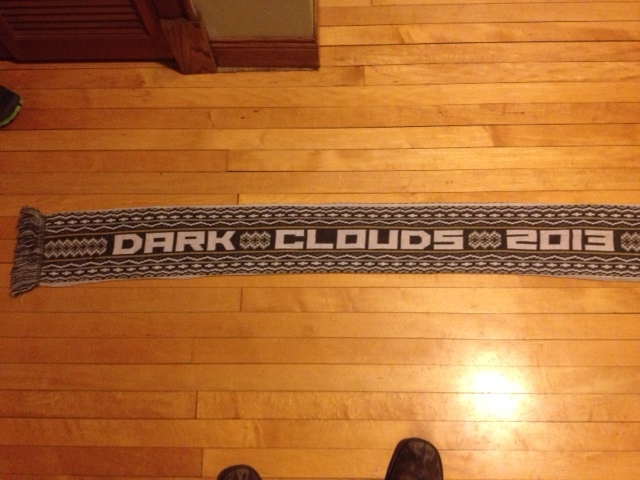 Below you will see as best as possible, a collection of pictures of all the scarves, fan and team made, that were created for Minnesota Pro Soccer teams. 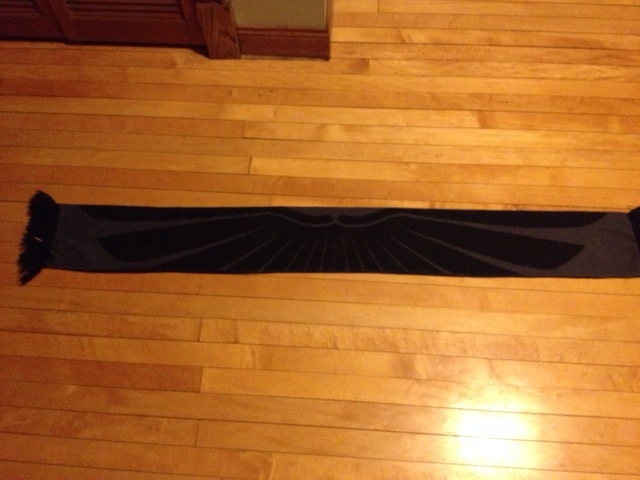 Any help with additional information or history of these scarves would be helpful! If you have any that are not listed here please send me a picture. 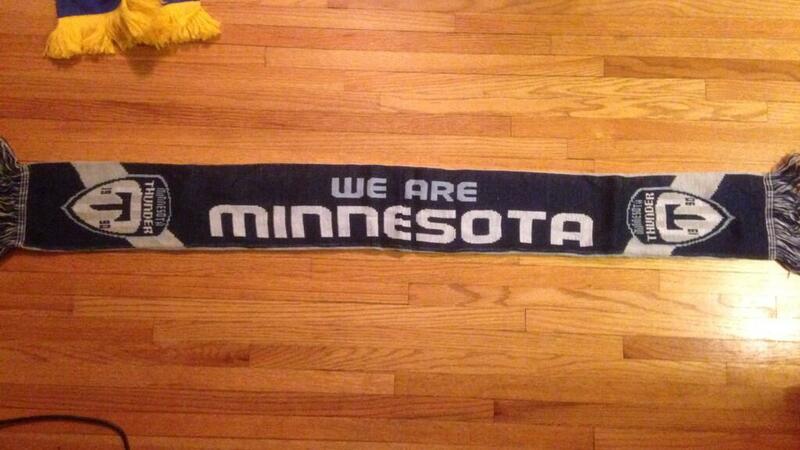 This is the first supporters scarf of the modern era of soccer in Minnesota. It features the Minnesota state motto and the slogan “Stand Your Ground”. Thanks Turkish_Zath for the picture and information! 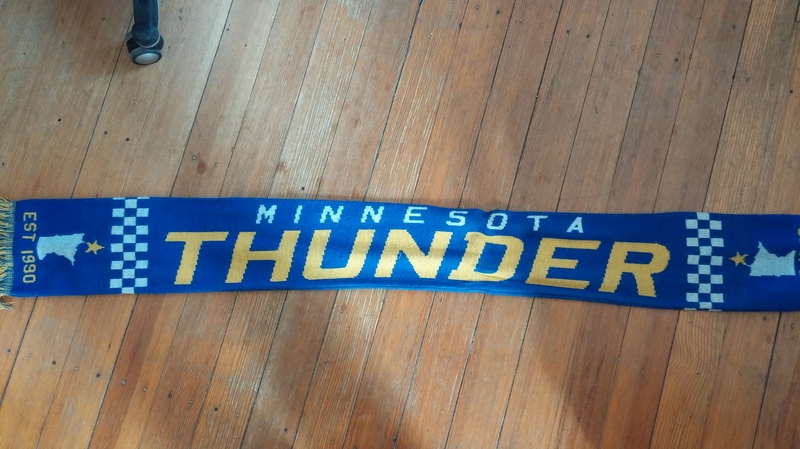 This celebrates the time that the Minnesota Thunder played at the “Jimmy”, a stadium in St. Paul. 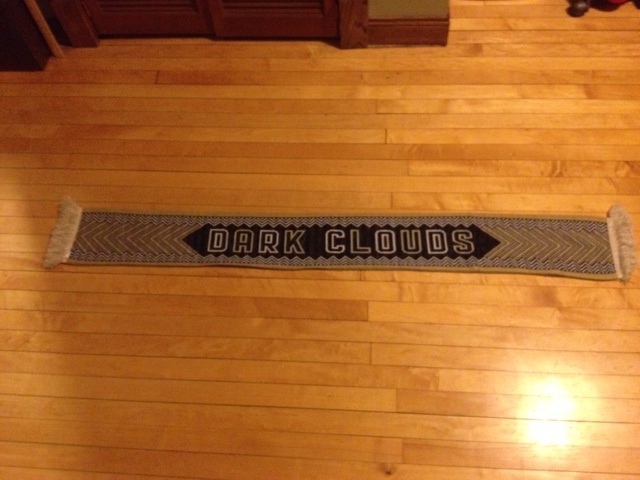 It is also the first scarf to reference the Dark Clouds. Thanks Turkish_Zath! 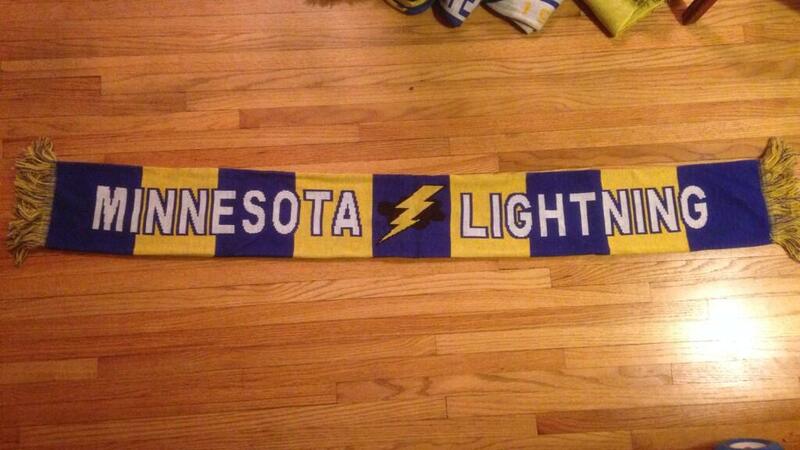 For a brief moment, Minnesota was blessed with a Women’s team called the Minnesota Lightning. 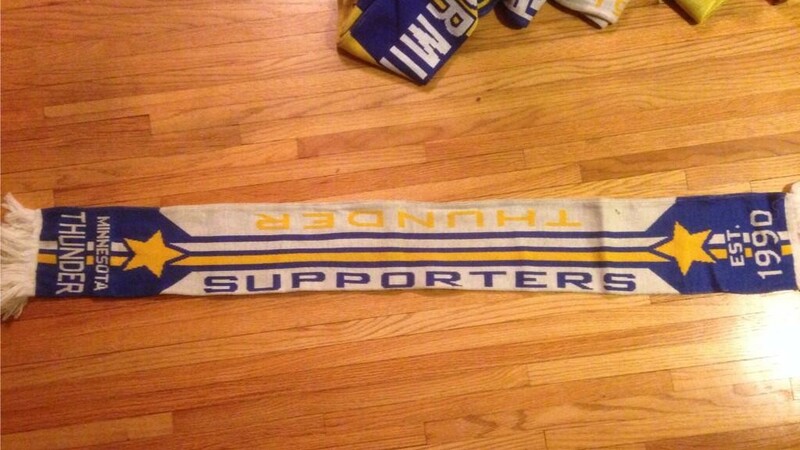 Some supporters put together this scarf to support the team. Thanks Turkish_Zath! Below you can see a close-up of the pictures of the two coaches. This was the first year that Buzz Lagos wasn’t the coach of the Thunder. Thanks Turkish_Zath for the pictures! 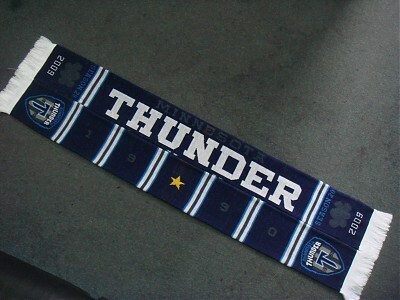 This Scarf features the dominant colors of the Minnesota Thunder and the State Motto L’Etoile Du Nord. Thanks Wes! 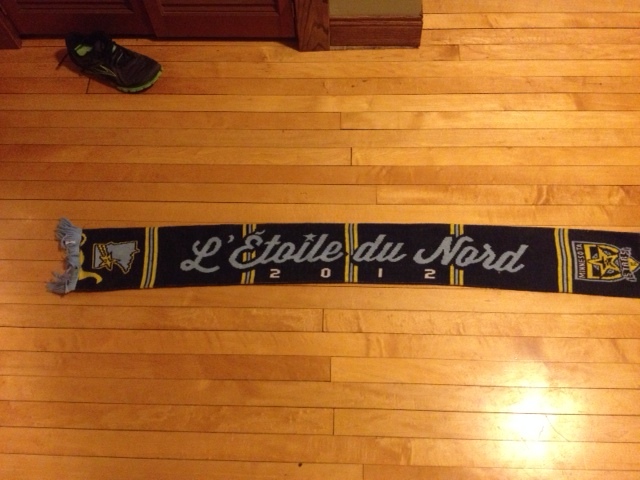 I really like that the two sides of the scarf are different colors. 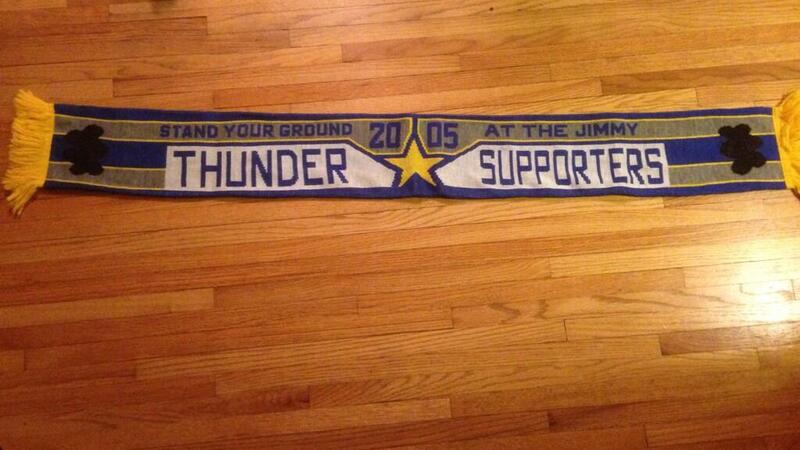 According to Super Rookie, they are two different colors because the voting for the scarf that year was tied. 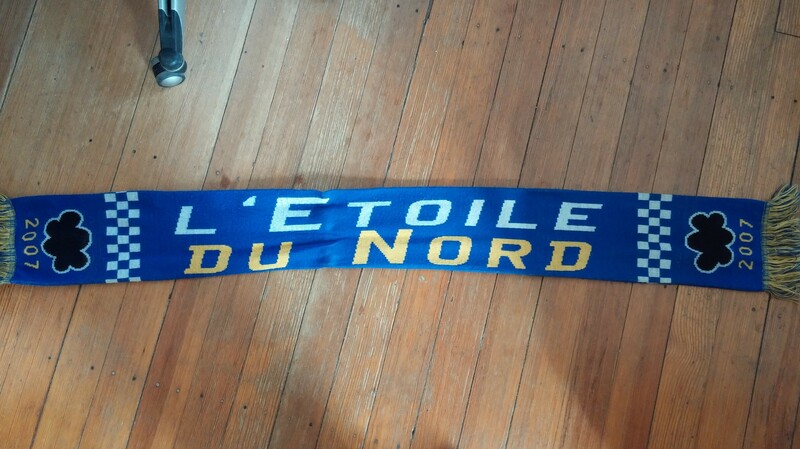 I like it because it means that you have two options with the scarf, and I like that the letters are really clear and easy to read. The team colors are different due to the new owner changing the uniforms for this year. 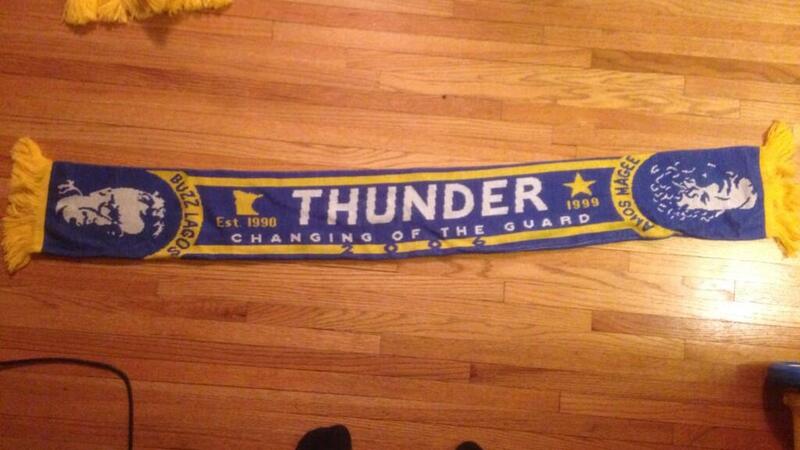 The back features the year the Thunder were founded (1990). 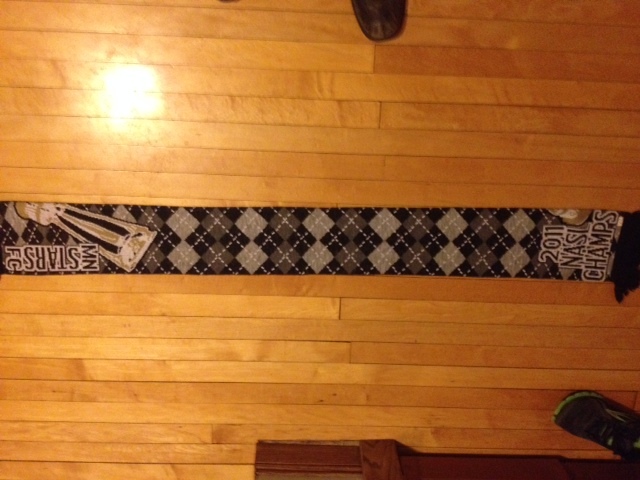 Really sharp looking scarf. 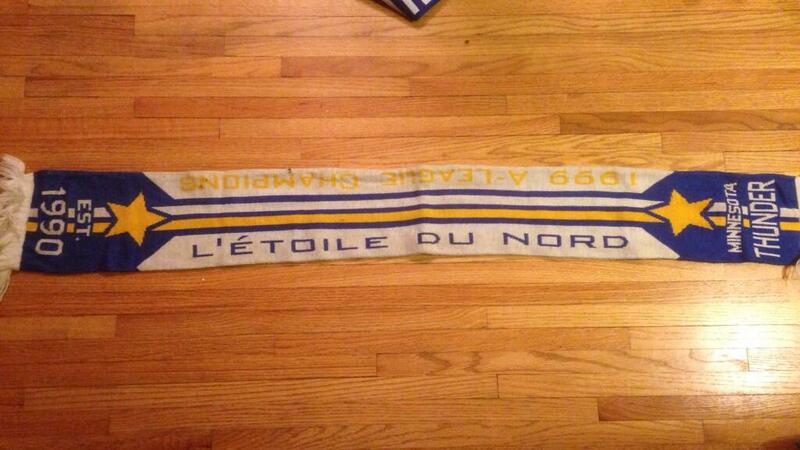 Love the bars on this supporters scarf, and I “believe” this is the first appearance of Nessie on a scarf. Thanks Kenneth! The script “Stars” seems very 1980’s Miami Vice to me. Thanks Kenneth! 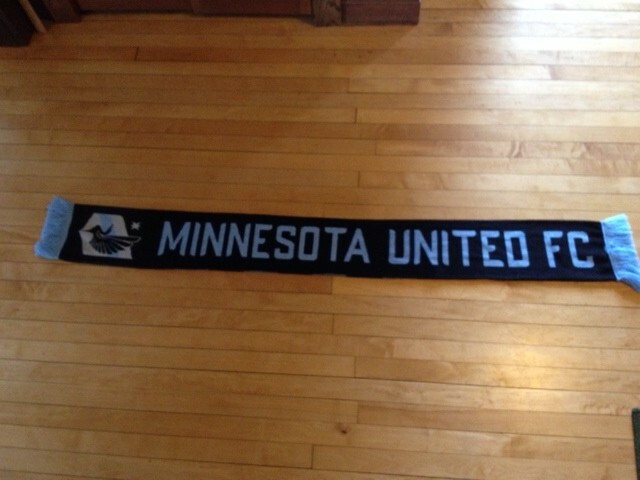 A free scarf that was hung up around the Twin Cities with vouchers for tickets to the home opener. Thanks Turkish_Zath for the picture and information! 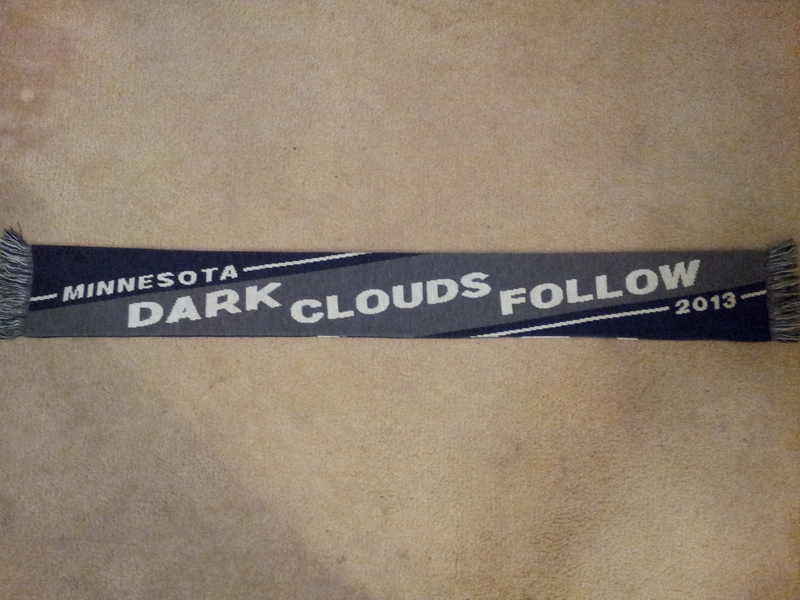 The first supporter scarf that doesn’t feature the colors of the team, with interestingly enough the twitter handle for the Dark Clouds. Thanks Kenneth! 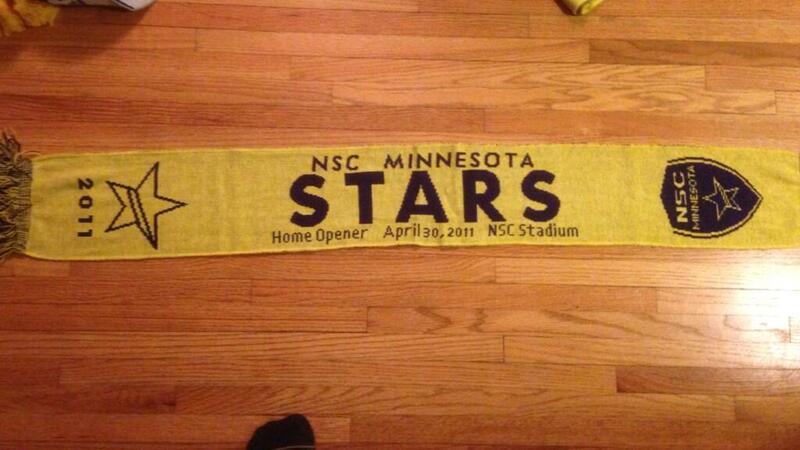 Love the inclusion of Nessie (the Stars played at the NSC, get it?). 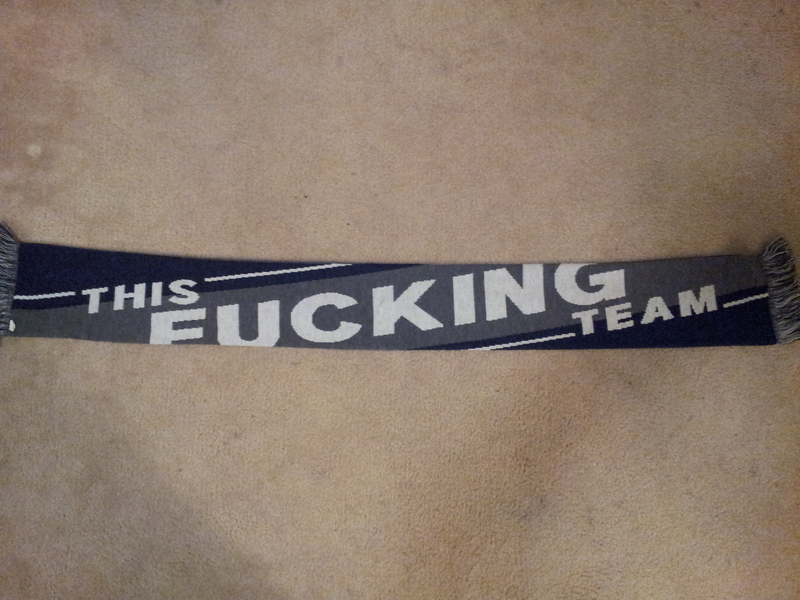 This year, the NSC couldn’t afford to keep the team due to owner financing rules, and the league, NASL, took it over. Thanks again, Wes! 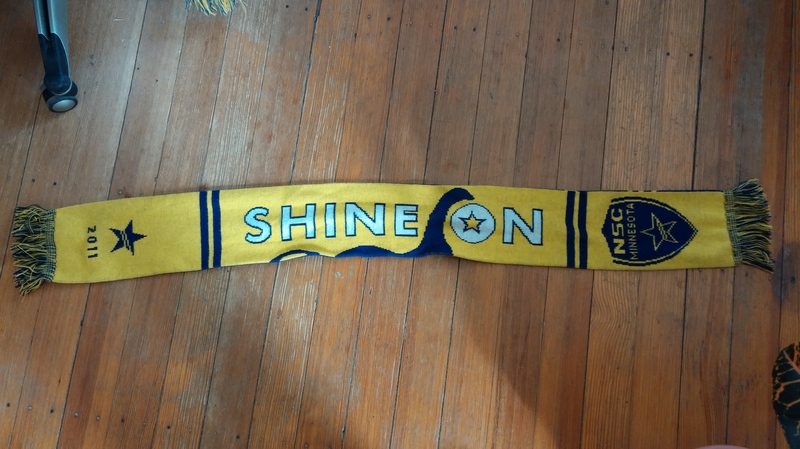 Celebrates the 2011 NASL championship and again features the State Motto on the back. 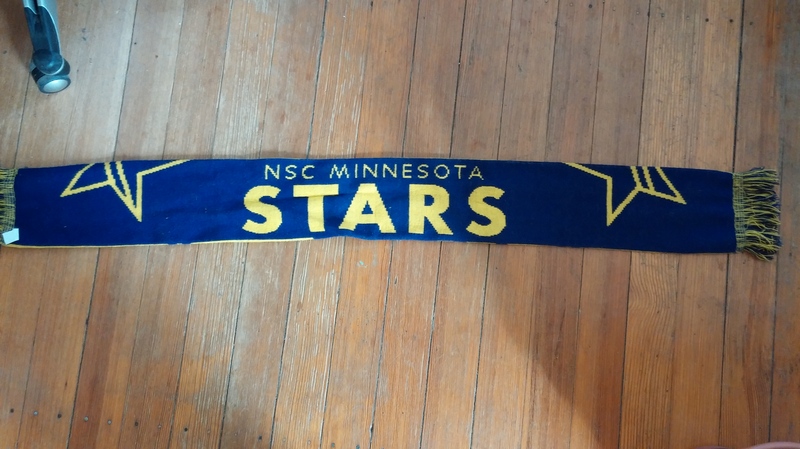 When the team was owned by NASL, they changed the name to Minnesota Stars FC, dropping the NSC from the name. 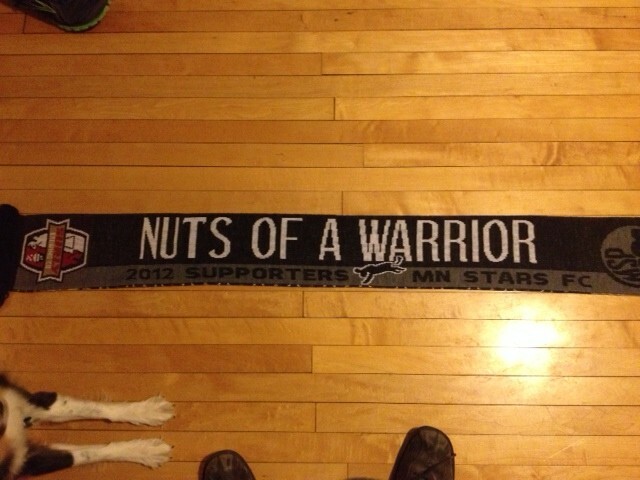 The supporters group scarf references a great quote by Simone Bracallelo from before the NASL 2011 final and includes the logo of a great Minnesota beer who has donated many cases of beer to the cause of soccer supporting. 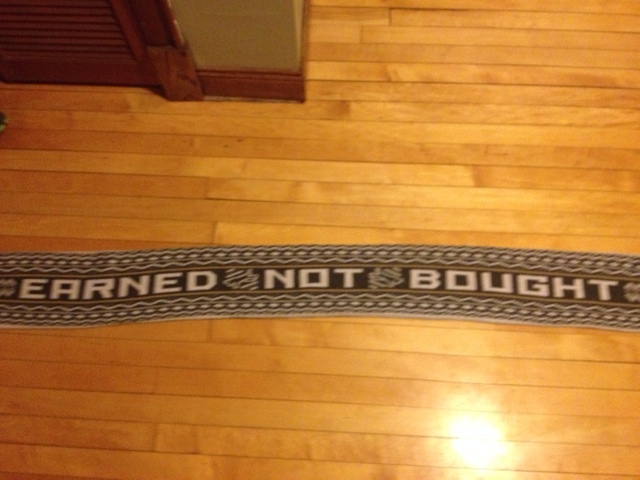 Also, Argyle is never wrong on a supporters scarf. This might be my favorite scarf. 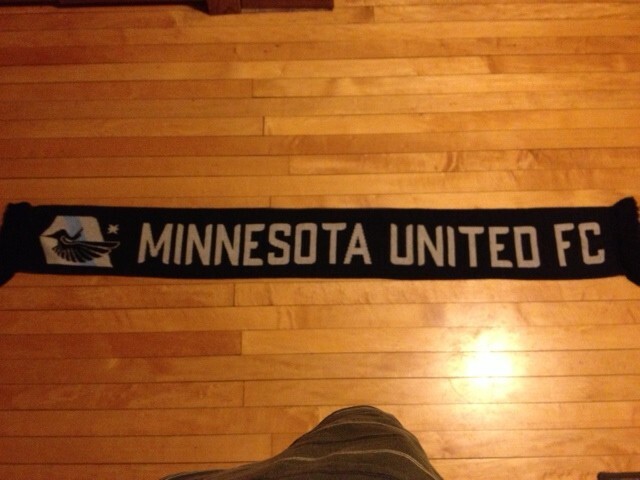 I love the colors, it features the great Minnesota Crest, and the words are nice and legible so when you hold it up high, it’s easy to see. Plus, the back has the legendary “loonstache” on the back. 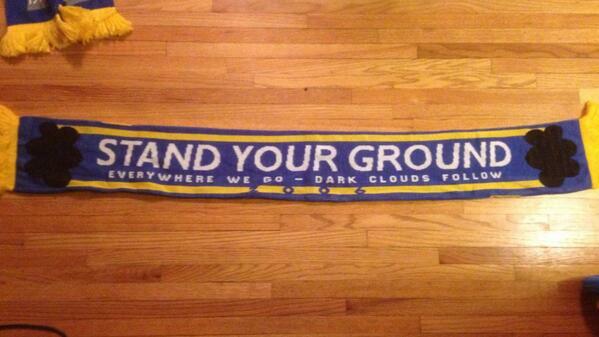 Wasn’t the biggest fan of the pattern on this scarf (nor the slogan), but this one has definitely grown on me. 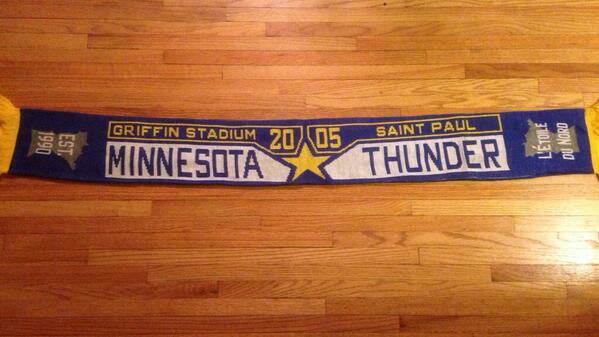 I find I wear this one the most these days, because wound up around your neck it’s just a great looking scarf. 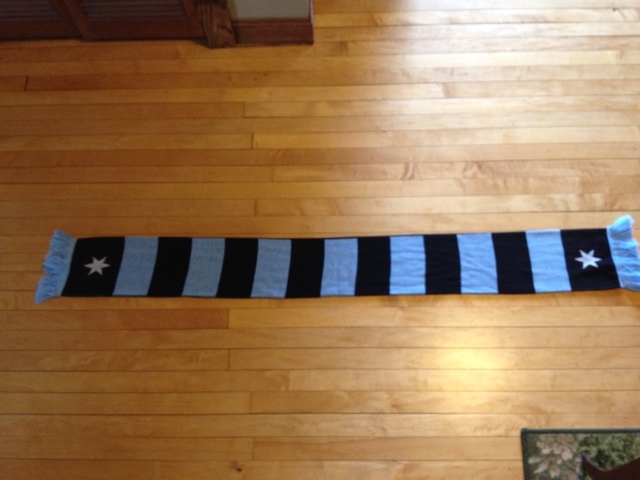 A beautiful scarf, one that I would love to get a hold of, that celebrates the words of coach Manny Lagos that he uttered after the team lost the 2012 Soccer Bowl Final. At the time, it wasn’t clear if there would be a team the next year. 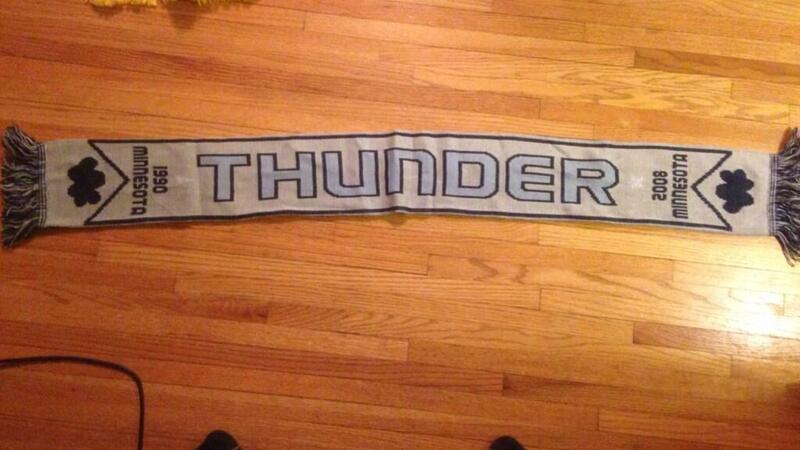 The new scarf for the 2014 season from the team. They changed the lettering from white to blue, and the fringe from black to white. 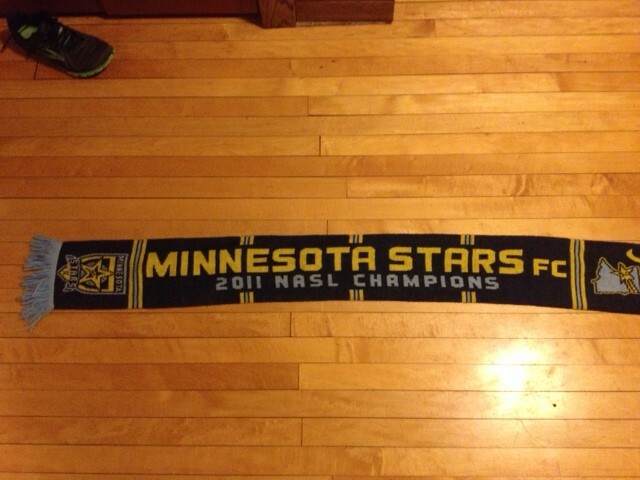 They got rid of the loon stash, but I love the stripes and the star on the back side, so I’ll forgive them. 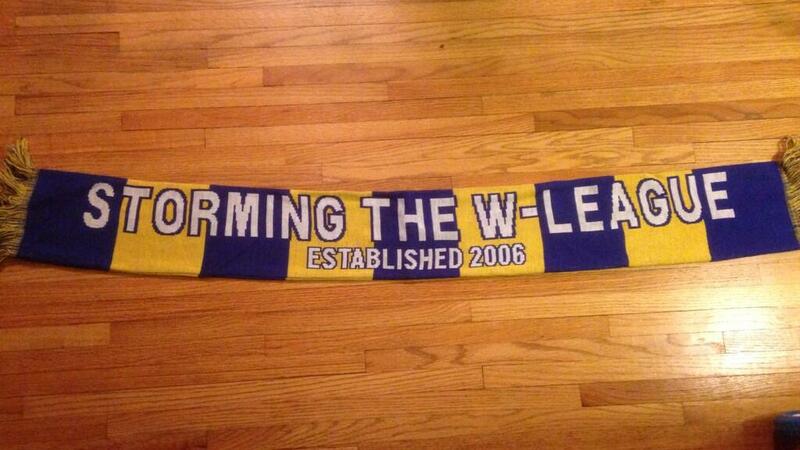 The new supporters scarf. 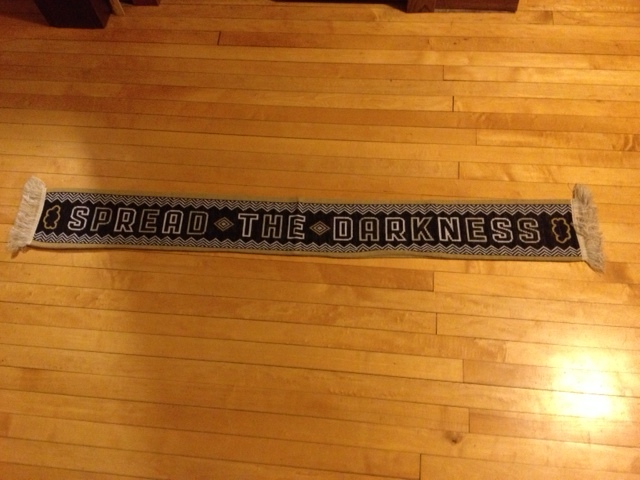 Spread the Darkness! Thanks to all who have helped with the pictures and information. 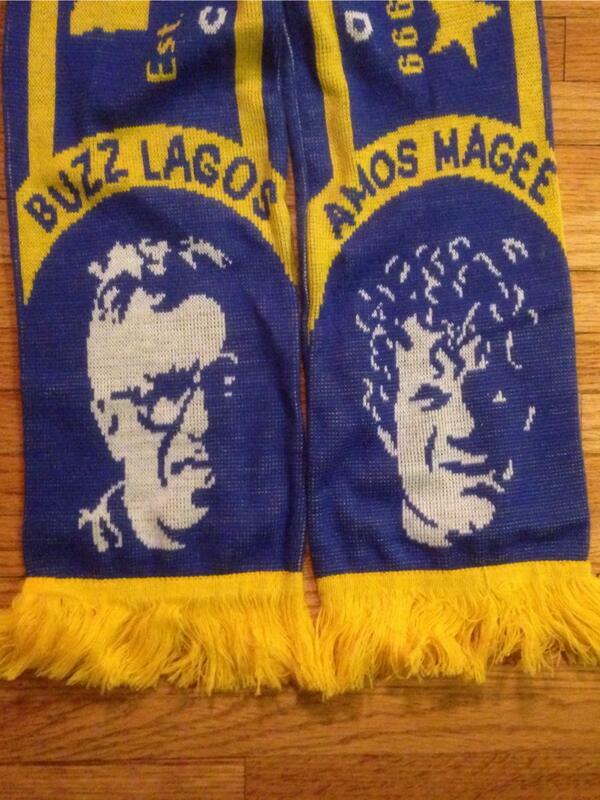 I still would like more information about some of these scarves, so anyone who was around when these were created who could shed a little light on them, that would be great. I also know that I’m missing some scarves, please send me an email or send me a message on twitter with pictures of them. Thanks! I’m assuming that I have permission to repost the pictures here? Certainly, feel free to post them and keep up the good work. Cheers!